Adopted at the June Board of Directors meeting 2011. The National Panhellenic Conference is the premier advocacy and support organization for the advancement of the sorority experience. 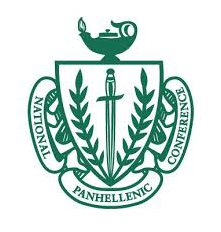 The National Panhellenic Conference provides support and guidance for its 26 member inter/national sororities/women’s fraternities and serves as the national voice on contemporary issues of sorority life. Founded in 1902, NPC is one of the oldest and largest women’s membership organizations representing more than 4 million women at 655 college/university campuses and 4,500 local alumnae chapters in the U.S. and Canada. Each year, NPC-affiliated collegians and alumnae donate more than $5 million to worthy causes, provide $2.8 million in scholarships to women and volunteer 500,000 hours in their communities. For more information about the NPC, click here.